No weed is friend to the gardener, but some are worse than others. 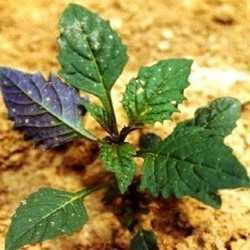 Three weeds in particular have begun to pose a real threat to plant life in the midwestern US and northern plains states. Those who religiously seek to have the best lawns in the neighborhood are often appalled at the presence of weeds. Unfortunately, these problematic weeds are often first discovered in turf. Field bindweed, also known as creeping jenny or wild morning glory, was first introduced to the U.S. from Europe in the the late eighteenth century. Some literature indicates that the vines vary between 1 1/2 and 6 feet in length; however in my experience vines may grow as long as 20 to 30 feet. My first contact with bindweed was an infestation in a boxwood hedge. By the time I noticed it, the plant had intertwined itself throughout the hedge and it took several seasons to eliminate it. Field bindweed often gets a foothold in urban areas, including schoolyards, parks, boulevards and other locations where little or no maintainance takes place. Once bindweed takes hold, the small, trumpet-shaped flowers blossom into a sea of white. Control of field bindweed is extremely difficult. Hand pulling is virtually impossible, as the plant has an extensive root system, and if any part of the root is broken off it will continue to grow. Some herbicides have been proven to suppress growth but not to totally eliminate it. A local independent garden center may be able to recommend an effective herbicide for your area. Nearly any elimination effort, however, will need to be repeated, possibly even several times. 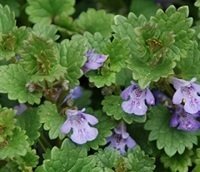 Creeping charlie, or ground ivy, was used by the Saxons in brewing beer during the Middle Ages. 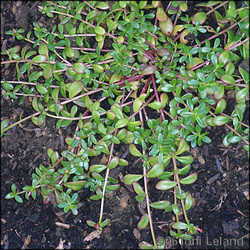 Today, however, it is better known as one of the most stubborn and difficult-to-eliminate weeds. Creeping charlie is an evergreen perennial that thrives in shady moist areas. No lawn is safe; however, as I've seen it spread quickly in lawns that are located in full sun and in soil that is quite dry. Control by pulling is usually futile, since, as in the case of bindweed, the expansive root system quickly promotes new growth. As with any weed, the ideal time to use chemical controls is in the fall, when the plant is storing up energy for the winter. There is some controversy over how effective herbicides are in combatting creeping charlie. Dicamba and 2-4-D are the preferred products. To have any effect at all, repeated treatment over several years is recommended.There is also a homemade treatment that some professionals won't officially recommend, though some success has been reported. The secret ingredient is borax laundry detergent--or, more specifically, boron. While plants need this naturally occurring element in trace amounts, larger quantities seem to be toxic to creeping charlie, while having little effect on other plants. The only caveat is that it should be applied no more than once a year to avoid an excessive buildup of boron in the soil. 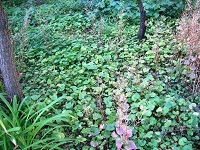 Instead of a herbicide, The following mixture can be applied to creeping charlie--but again, only once a season. Add 3 ounces of borax laundry detergent per each gallon of warm water, mix thoroughly until dissolved, and spray on affected areas. Garlic mustard is a very invasive weed found in 27 states and Canada. I first came into contact with this pesky weed several years ago, while working as a gardener at Greenfield Village in Dearborn, Michigan. The village has a total area of 240 acres, half of which are developed. The other 120 acres are predominantly wild, mostly mature forest. Garlic mustard gained a foothold and almost engulfed the entire undeveloped area. According to the Minnesota Department of Natural Resources, garlic mustard, if left untreated, will choke out all native growth within ten years. Early control of garlic mustard--as soon as it is detected--is extremely important. Here in Michigan, the Department of Natural Resources solicits the help of service groups such as the Boy/Girl Scouts, conservation groups, and garden clubs to descend on heavily infested areas and hand weed the garlic mustard. Aside from hand pulling, control methods include cutting the flower stems off to deter seed production. Application of glyphosate is sometimes used, but it is non-selective and will kill everything it touches. Burning is sometimes used, where feasible, to control large infestations. It is extremely important to contact your local extension service or department of natural resources as soon as you detect this weed, whether on your property or in school yards, parks, or other public areas. If detected and treated early, eradication of garlic mustard is much easier and more effective. More generally, the proverbial "best offense" to prevent and control these weeds is a good defense--that is, to maintain a healthy, dense, vigorous lawn through a regular program of fertilization, irrigation and aeration.